MegaMind T52 Card and Fingerprint Biometric System Security Systems - Get MegaMind T52 Fingerprint Biometric System Security Systems specification, features, MegaMind provide to best service. 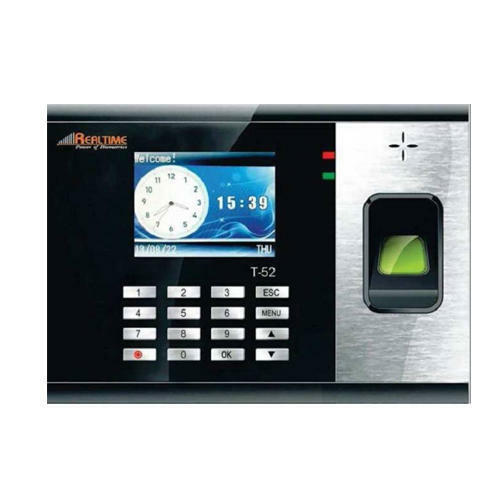 MegaMind T52 Card and Fingerprint Biometric System Security Systems - Get MegaMind T52 Fingerprint Biometric System Security Systems specification, features,MegaMind provide to best service. We Megamind Technosoft are a Partnership firm engaged in manufacturing high quality array of Bio metric Attendance Systems, Face Based Attendance System, Card Based Attendance System, Software's Products, Access Control System and Access Control Accessories. We maintain highly experience expert manpower to insure smooth functioning & a reliable solution to our each business partners (customers). We can provide any type of solution, related to software & hardware. Our main objective is not to sale software or hardware either provide a complete solution that can fulfill requirements with smooth functioning in lesser manpower & resources. We trust in fully automize solutions. We have around 11 Years of experience to fulfill the customer needs. Since our establishment at New Delhi (India), we have been able to meet customer’s varied needs by providing products that are widely appreciated for their high functionality and long working life. Under the strict direction of Mr. N.K. Singh, we have achieved an alleged name in the industry. We also provide support services for our products.